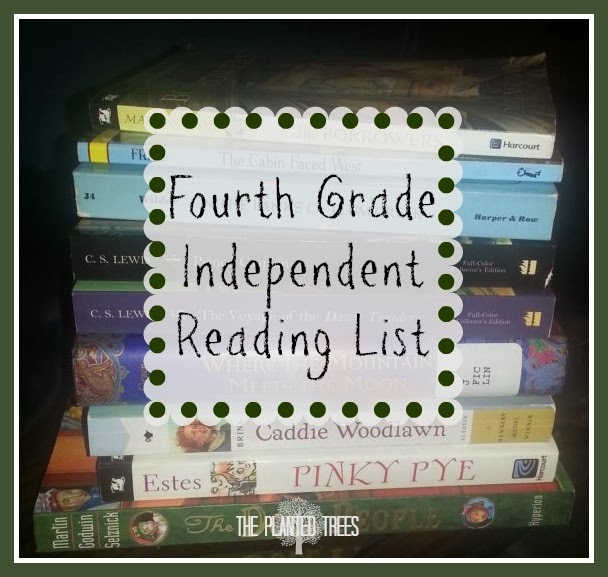 I’m not sure that I’ll use the exact same list for my other kids, but this is Chipette’s independent reading list for school. Of course, she can check out what she wants from the library and read those too, but these books were required for her fourth grade year. Good looking list. My daughter read a few of those last year and many of the others are on this year's list! My daughter has read all of those books but two and she adores Pinky Pye (and Ginger Pye even more than that and really any book by Eleanor Estes, rereading them frequently). She also really, really enjoyed The Doll People (plus both the sequels). I think it was neat for her to see her name (Annabelle) in the Doll People books. We don't see it very much. I saw where one of your read alouds for the year was The Wheel on the School. I chose that as one of my daughter's Total Language Plus literature studies for this year. I'm looking forward to reading it myself. I will be checking out more of your reading lists! Thanks for posting them. They are great! We loved Wheel on the School! We read it this year when studying The Netherlands.